Every Equinox and Solstice are a massive Passageways of clearing out all old, all that no longer vibrationally/energetically is now highest aligned, to make way for ALL NEW to come forth/come through… Portals! For all who have fully integrated the immensity of these Cosmic Light Codes, that are released for each based upon “current vibrational placement”, much higher timelines are becoming available for each. By holding your own highest state of consciousness, while clearing out any old outdated programming on cellular/field level, you are going to LOVE this next week. Because, you’ve been clearing the separation within you that was CREATING the old realities to even BE. Opening up portals to all new, is done THROUGH YOU…. The passageways are completion phases to move all old out, to activate and anchor more Light within you, for a Dimensional SHIFT to physically occur…. in your own REALity, because your consciousness dictates REALity and “causes” (tells) Matter how to take form…. your holding the highest everything, no matter what your current physical “says”, is how you shift from one timeline to various “alternate reality” ones. Consciousness is birthed through LOVE. Consciousness is you as Pure Source Light. Consciousness is you fully awake and SHIFTING all from within you FULLY… so that your PHYSICAL CAN FULLY ALIGN … SIMPLY… EASILY… ORGANICALLY… NATURALLY… without your ego getting in the way at all. As your heart fully opens, your mind opens up too. As you LIVE a PURE EXISTENCE, where LOVE dictates your choices, where Purity is the “deciding factor” in how you CHOOSE… where APPLYing the KNOWLEDGE of higher/highest consciousness to your every moment of your actual life… YOUR ENERGY SHIFTS…. therefore, your reality starts to shift vibrationally too. AS you step into your POWER as LOVE, as you Hold Your Light in every way, as You Embrace your own Divinity, treat all as Sacred, from deep respect inside… how you show up & treat others, how you behave changes…. THIS IS HOW you break the cycles of your old ways, patterns, beliefs, actions, energy….. and REVERSE everything (which activates your geometrics/equasional field) to take new form/shape… how you activate your own FIELD to transmit out across all dimensions/timelines/existences…. how you COLLAPSE SEPARATION into this Zero Point Space and Unify all BACK INTO LOVE… which collapses all not aligned from a much higher dimensional plane within you….. this UNIFICATION is what activates all of those realities that support you, all of those realities aligned with your highest versions/aspects of you….. to come forth to greet you/meet you….. be open for you…. because you were the one not open before…. so none of this could before…. yet now….. This next week/10 days… is timeline collapsing time. I use “time” as a reference word, as there is no time…. yet I don’t have another word in this moment… so it’s the one I choose to use. THIS NOW SPACE…. this is where all CONVERGES… this is where all arrives/comes to BE. As each starts to truly REALIZE how NEW Earth functions, the Energies it’s built upon and what holds all in place, how all is an intricate SYSTEM that is vibrational…. you tune your vibration, your LIGHTBODY, your whole body-field to all new vibrations for a whole new reality to open up/come forth……. Every Equinox & Solstice… once we get through the “trigger points” where all of our new light codes have been released and integrated fully… the phase after is the “result” of the entire whole linear month up to that “point”….. Gateways wide open, always now… more and more and more than ever before. This is how we roll… full steam ahead… letting go, barreling through… and anchoring all new realities through our own applications …. I love you! Get ready baby! It’s Quantum Warping into more NEW EARTH REALities! NOW. 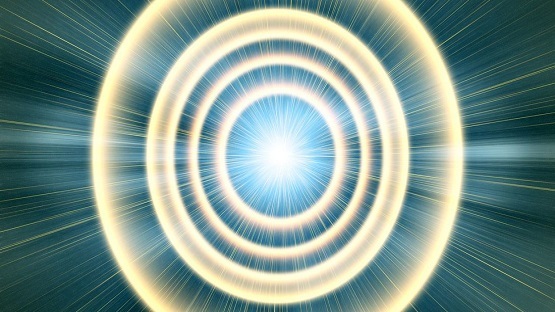 This entry was posted in Uncategorized and tagged collective UPSHIFT, consciousness birthed through LOVE, consciousness is Pure Source Light, Lisa Trancendence Brown, love, Massive Upshifting, NEW to come forth, PHYSICAL CAN ALIGN EASILY SIMPLY, portals, portals open through you, StarGate Alignments. Bookmark the permalink.